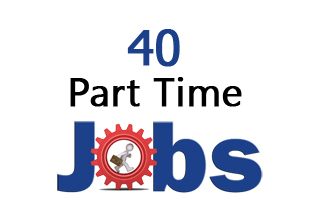 Here are 40 best part time jobs from home online & offline with zero investment. These part time jobs can help you to make extra money by working only for few hours a day. The list includes both online and offline part time jobs. If you have knowledge of IT and internet you can go for online jobs else, you can opt for offline jobs. As a social media assistant, you need to manage social media channel of the company including facebook, twitter, and other platforms. You need to create social media campaigns and help the company to grow their social presence. You need creativity and IT skills in order to become social media assistant. You can earn Rs.15000 to 20000 per month by this profession. In this job, you need to review various videos. You need to submit your recommendation of sound quality, picture quality in the video. In order to opt for this job, you need to have a deep knowledge about video making and a sound quality. The easiest way of making money from the internet is via clicking ads. In this part time job, you need to just view ads by clicking on links. You will be paid money based on a number of clicks. You can easily earn Rs.10000 to 20000 per month by spending daily 1 hour on these sites. You can register on famous PTC websites Clixsense, NeoBux and InboxDollar for this type of work. A next part time job is related to the online survey. In this job, you can spend your free time in a relaxed manner. You need to give your opinion about product and services online and you will be paid with specified money. However, you should make sure that site on which you are working is genuine. As per me, part time blogging is one of the best ways to generate long-term income. Blogging means creating your own website and sharing your knowledge or opinion about a relevant topic. Once your blog gets popular and generates traffic you can place advertisements or affiliate link and generate extra income. The next part time job is Affiliate Marketing. Affiliate marketing means promoting others product on your website and help them to increase the sale. On every product sell, you will get a commission. There are multiple websites that provide affiliate marketing program. You need to enroll to the program and place banner or link on your website. You need not worry about product shipment, customer handling etc. Some popular affiliate marketing programs are Flipkart, Amazon, Snapdeal etc. Providing Online tutorial is next part time job. In this job, you need to teach student online by using video chat over skype or other messenger applications. If you are subject matter expert, you can also provide consultancy. Some famous websites that provide these types of facilities are wiziq and tutorweb. If you are good at the generation of content you can work as a content writer and earn a lot of money. A content writer is in good demand today. You can easily earn Rs.10000 to Rs.30000 per month by doing this job. You can find content writing job on websites like Fiverr, UpWork etc. You may be surprised to note that you can get money for playing a game online. There are companies that appoint game tester in order to test games. In addition to that, there are websites that offer a reward in order to play games. Micro Jobs means small job like typing, editing, watching a video, sending email, sorting out or renaming files etc. A cost of each task is fixed. You will be paid for completion of every task. You can work daily 2-3 hours part time and make a decent income. You can use Amazon Mturk website to get these types of jobs. Captcha is random text image used to prevent spam. No software or auto software can solve Captcha. It requires human intervention to solve and make captcha. If you have time you can become Captcha solver or Captcha text maker. If your speed is good you can easily make around Rs.10000 by working part time 1-2 hours a day. If you are subject matter expert in some field you can extend your expertise by becoming an online consultant. You can use Skype of Facebook in order to share your knowledge and expertise. You can charge money for providing advice. Youtube is a popular website for video streaming. Youtube provide channel partner program for advertisement. You can create a youtube channel and upload your video. When someone go through your video, they will see the ads and you will get paid for every advertisement view. The next part time job is a virtual assistant. This job requires a basic knowledge of computer word, excel and power point. You can expect office related work like typing content, writing an email, making presentation etc. If you know any other language along with English, you can become a translator. It is one of the best part time job. In this job, you need to translate content from one language to other languages. You can earn reasonably high by working as a translator in part time. The next part time job is online copy paste. In this job, you need to copy a large chunk of text and paste it in another file as per requirement. One can earn good part time income from copy paste job. However, finding genuine online copy paste job is a difficult task. If you don’t have a computer you can use your smartphone to work part time. There are multiple mobile apps that can be used to make money. The task offered by the app are completing a survey, watching a video and doing a small task. A work of medical transcriptionist is converting a voice recorded report into text format. Submit health record of the patient to doctor. In order to work as a medical transcriptionist, you need command over English language and knowledge of medical terminology. A job of medical transcriptionist can be done full time or part time. The first offline part time job is a freelance software developer. You need to have knowledge of programming in order to do this. There are multiple websites that offer freelancing software development project. You can complete these projects and earn desired money. The second offline part time job is freelance photography. In order to do this job, you need to have a skill and sound knowledge about photography. You can sell your photos online or set up your own website for promotion. As a content editor, you need to verify and correct the content provided to you. As a content editor, you need to be an expert on grammar, spelling and content editing. The earning of content editor varies based on an amount of content/page. A sign language interpreter is one of the most difficult part time job. In order to do this job first, you need to take appropriate training in order to understand a sign language. Sign language interpreter is responsible for helping a deaf or hearing-impaired individual to understand what is being spoken. The need to this type of professional is very limited. One of the best part time jobs is an office job. You can check popular job portal like Naukri, Indeed for part time office job. You need to check office hours and traveling time else this part time job will become full time job with part time salary. The most suitable job for women and man in part time is home tuition. You should be expert in teaching in order to enter into this profession. You can either give tuition at your home or even become a home tutor by giving tuition to the student at their own home. If you are knowing a foreign language you can start your own language class in part time. Today many people are interested in learning foreign languages. So, a potential of getting success in this type of venture is very high. You can start language class part time and convert it in full time profession. If you have a good grip on English you can think of starting your own IELTS class. This business has very good potential, as It is mandatory for students and professional to pass IELTS with specific bands for getting a visa at abroad. You can start the class part time and later stage convert it is full time business. This is one of the best part time job where you don’t have a binding of working hours. The scope of earning in this business is unlimited and it depends upon your skill and product of the company. You need to convince people in order to join your team and work with you. You need to make sure that you are associated with genuine network marketing company. Insurance Agent is another part time job or business opportunity. In this job, you need to convince people to take an insurance policy. You will be paid a commission on every policy sale. You can become an insurance agent with companies like LIC, ICICI, HDFC life etc. Candle making is next part time job. In order to start this work, you need to take basic training of candle making. You require different molds and equipment for making a candle. By working part time on this idea you can generate a regular stream of income. Home-based food making is one of my favorite part time job idea. You need to be a good cook in order to start this work. Initially, you may face problem in terms of finding clients. However, if your food quality is good you can surely get success in long run. If you like children you can start child day care to take care of children for few hours after their school. However, you need to make a small investment or require a suitable place to start child day care. If you have knowledge about music you can become part time music instructor. You can start this work from home or you can apply to music school where they are in need of music teacher. You can utilize your creativity in art and craft by becoming professional art and craft instructor. It is a best suitable job for women. You can design customize module for art & craft and charge accordingly. In order to reduce stress and to stay fit people prefer Yoga and exercise every day. It could be a good opportunity for you to become a Yoga or Fitness Teacher. You can earn a good income by becoming yoga or fitness teacher. If you are interested in doing something unique you can think of becoming a pet groomer. You need to do pet grooming course in order to become a pet groomer. However, it is an offbeat career in India. The next part time Job or business is a real estate agent. A job of real estate agent is to strike the deal between buyer and seller about real estate property. A deal could be for rent or purchase. A real estate agent get a commission for every deal. The earning potential in this work is very high. If you know repairing of mobile you can start part time work for mobile device repairing. You can earn a lot of money in part time by doing mobile repairing. I hope the exhaustive list of part time jobs will help you in selecting right part time job for you. Millions of people are already making extra money from one or more part time job options mentioned above, so what are you waiting for start your part time job now. Which part time job you will adopt from above and why? Do share your favorite part time job in the comments.